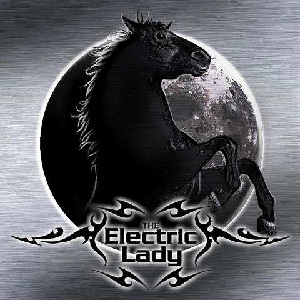 Electric Lady are a Finnish band that formed in 2007 that describe their music as pop-rock. They cite influences including Iron Maiden, Johnny Winter, Rory Gallagher, Janis Joplin, and Led Zeppelin, but listening to it there are certainly other more recent influences. To those influences I'd add 80s bands including Pat Benatar and Romeos Daughter. "A man of that kind" certainly has a very pop feel at first with its bass beat, but the rock feel does come in and the song ends up as a polished pop-rock track. "Secret love" is a great rock song with plenty of pace, great vocals, plenty of power, and a catchy tune. "Your Heart Is 100 Times Bigger Than Mine" opens with some nice guitar work and is more of a ballad with some lovely emotion-laden vocals. It's still got a good rock feel to it rather than being completely soft and gentle. "Who cares" opens with some guitar work that reminded me very much of the beginning of the Ramones cover of "Wonderful world". It's another standout track. This is a very good album - if you like your classic rock with a polished 80s feel then this is defintely for you. I'd certainly recommend any rock fan who likes female vocals to check this out - it's a great album that's well worth a listen. 1. Prelude "Un Ange Dans La Tour"